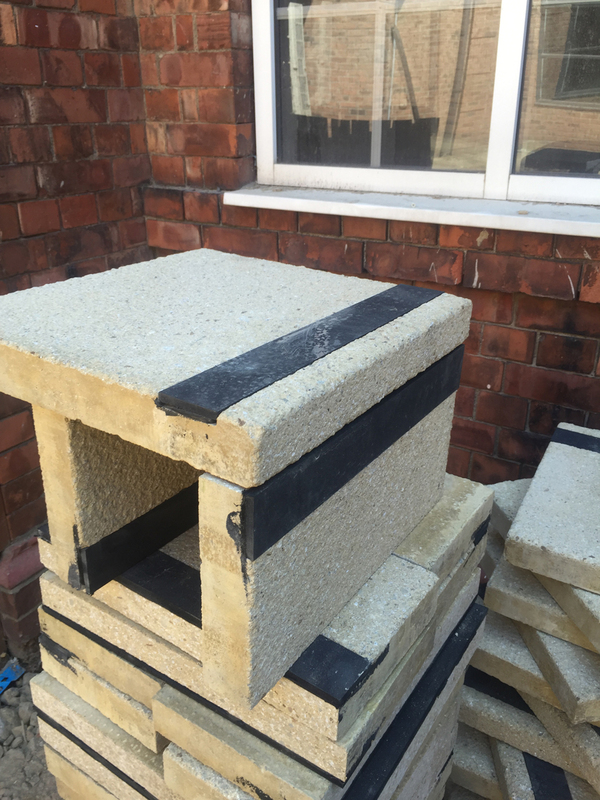 I’m sure you’ve worked out by now that if the gaps between posts get wider (no pun intended, although we have now reached the external landscaping stage of the project), it just means there’s more stuff going on in ‘real time’ for me than usual. 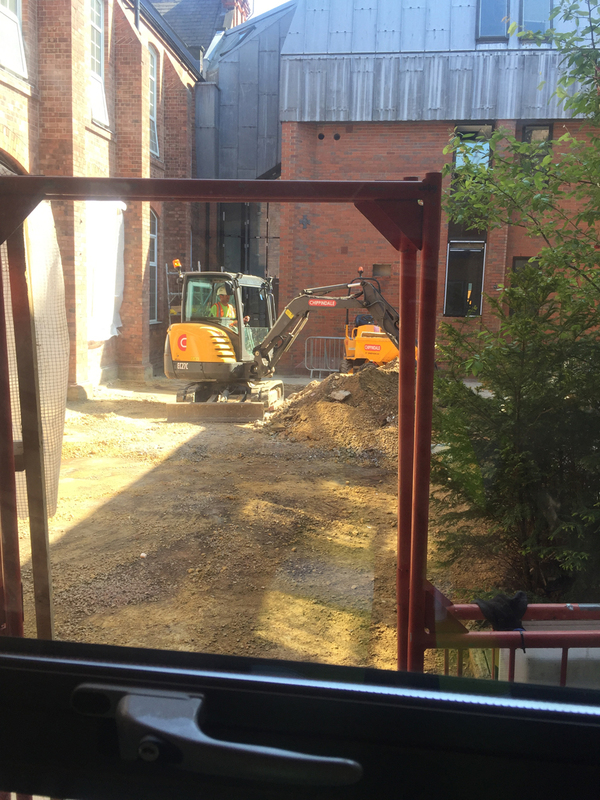 As well as taking a (more than is probably healthy) interest in dragging the history of our very special school along with me into the new era of Newcastle High (including the names of the important people who have helped shape it over the years), I’m also doing all I can to move the merged school forward. The best analogy I can offer here (you’ll know by now I view the world through a prism of analogy and metaphor) is that this felt at first like ‘jump starting’ a car when the battery has gone flat from over-use. 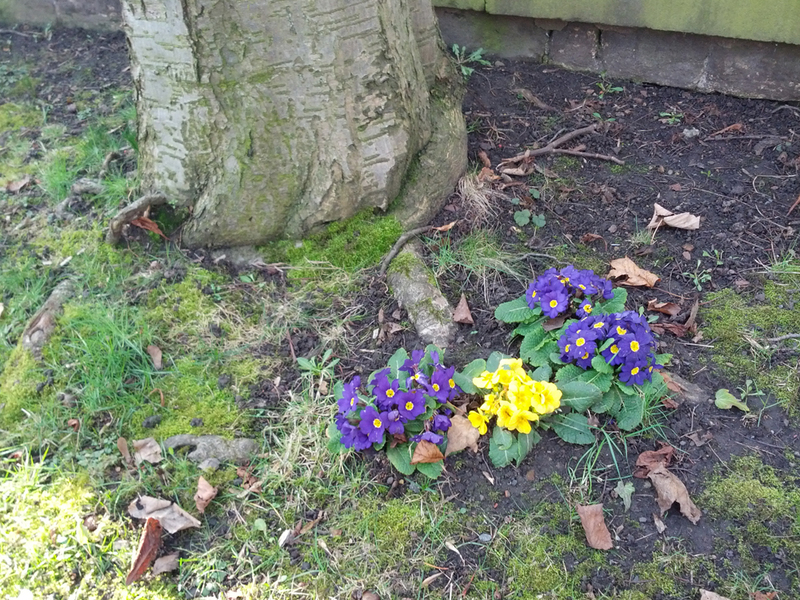 The last four years have asked an awful lot of everyone, but I sense in my bones the ‘Narnia Spring’ I’ve alluded to in past posts is almost upon us now. The ‘Excellent’ grade for Pupil Personal Development the new school has just gained in NHSG’s first ISI inspection – following the great write up recently received in ‘The Good Schools Guide’ – suggests, finally, ‘Aslan is on the move’. 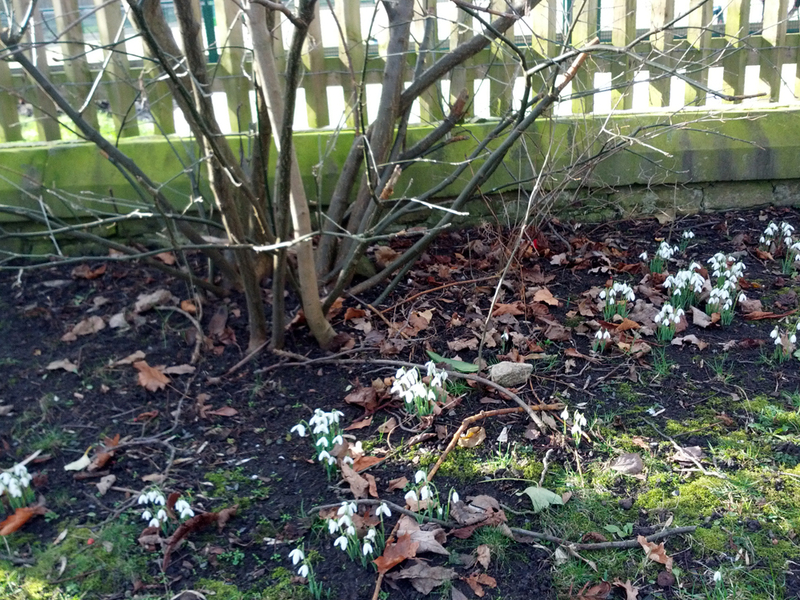 Signs of Spring are now evident by the new all-weather pitch. I’m keeping quite a few plates spinning at once at the moment, it has to be said. As well as this blog and the website, some of you already know I’m also doing background research and reading for a book (or two). In addition to this, within school I’m heavily involved in getting a digital archive section of the new NHSG website up-and-running, preparing for our spectacular School statue unveiling on April 28th and I’m also involved at practitioner level with the Positive Group, who are working with GDST to improve wellbeing (for staff and pupils) across the organisation. NHSG was one of nine pilot schools working with Positive towards The Positive Schools Programme and we rolled this out to our staff last week at Tuesday’s staff meeting. The Postive Schools Programme & the 9 GDST pilot schools. Someone who would be very pleased to hear this is Miss Dorothea Beale (a lady you will hear much more about in the future). Miss Beale was the founding Head of The Cheltenham Ladies’ College, an institution our own Miss Gurney was aiming to use as a template for Newcastle High School in the early 1900s – and not just in its capacity as a boarding school, for Newcastle High did take boarders in those days. She put this proposal to the Governors in 1918 and when they turned it down (presumably money was tight at the end of The Great War period), positive focus was created via adopting the House System we all knew and loved instead. I’ve always felt Miss Beale was used as a role model by Miss Gurney, but only yesterday I learned the link between Dorothea Beale and Newcastle High School was even more fundamental than that. Via my most recent eBay purchase, ‘Liberators of the Female Mind’ by Edward W. Ellsworth, I learned that Dorothea Beale and Helen Gladstone, Prime Minster Gladstone’s daughter, served on the guiding council of the Church Schools Company. How neat! A full circle. 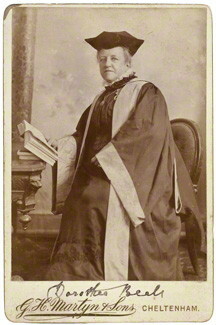 Miss Dorothea Beale, NPG P1004, by G.H. Martyn & Sons, cabinet print. In 1898, Dorothea Beale and two other Head Mistresses wrote the book ‘Work and Play in Girls Schools’ (which can be read online if you care to use the hyperlink). Miss Beale was asked to write the academic sections, but Part 3 (at p.396) focuses on The Cultivation of the Body. By this time, the link between an able mind and a healthy body was already well understood – even for girls. These learned ladies recognised that in schools ‘the principles of corporate life are being imbibed every hour and minute of the day, though nowhere more completely than in the playground’ (p.402). As you know, the playground was held as sacrosanct in our school. 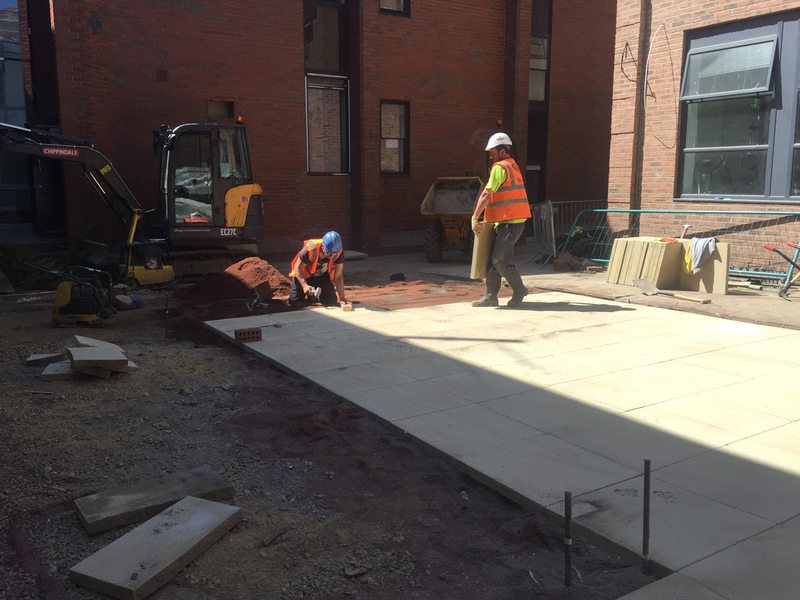 Indeed, the first extension to the back of the building in 1927 was designed on top of pillars to encroach upon the girls’ playing area as little as possible. 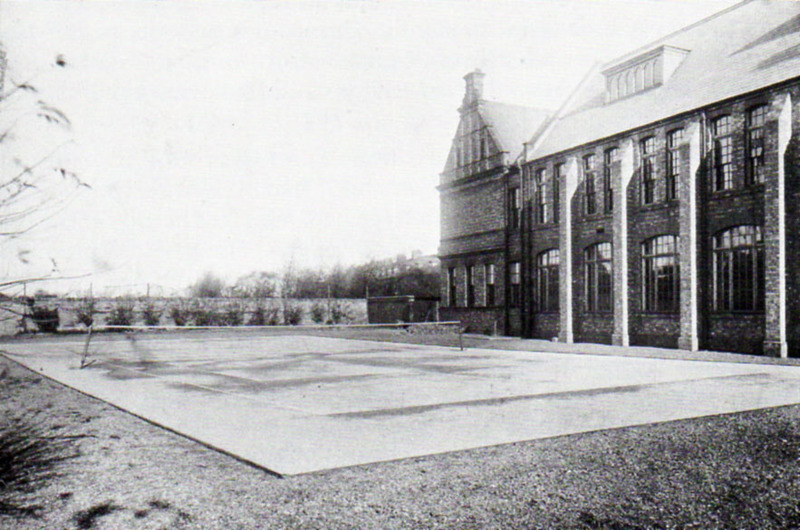 The play area at the back of Newcastle High School in 1900. 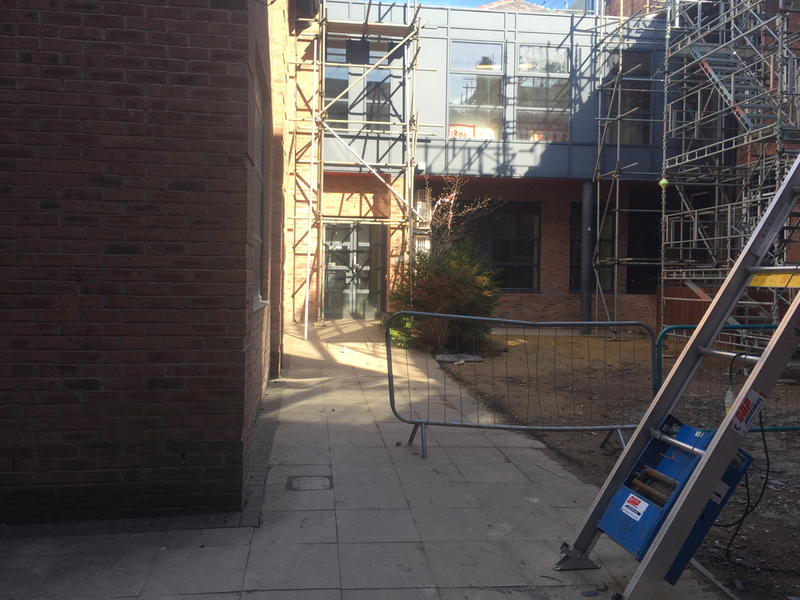 As the curriculum broadened, of course, this area subsequently had to be encroached upon to create, firstly, a modern Science block and then a state-of-the art Food Technology and Art block, in 1999. 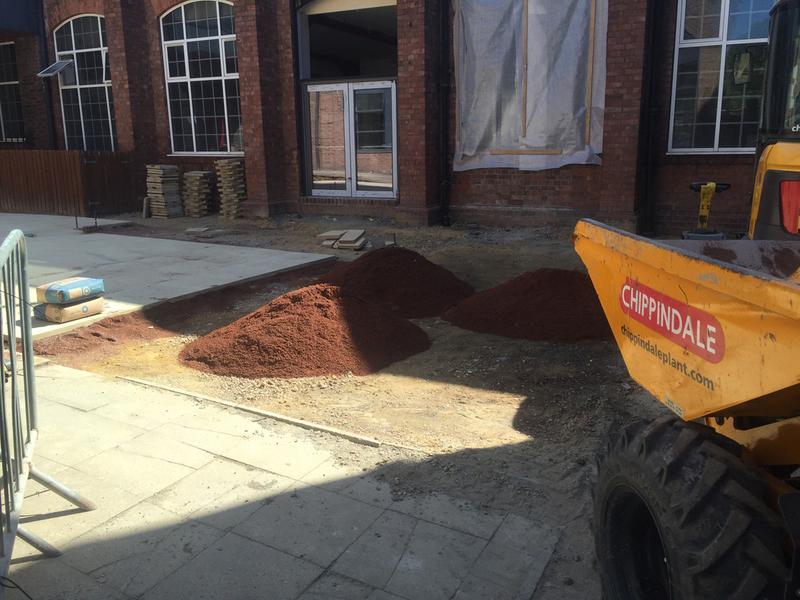 All that remained of the playground was a small quadrangle with an intention to landscape it later. 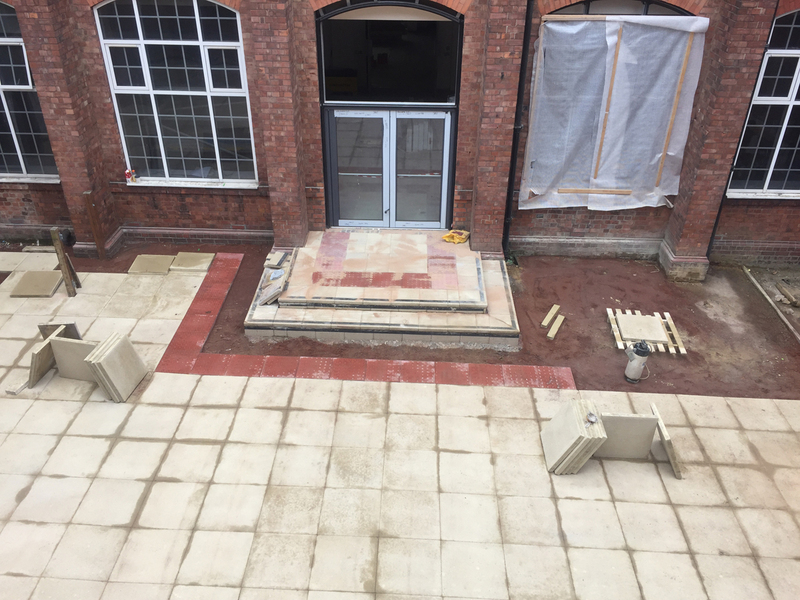 Via fundraising activities, the Head Girl Team eventually raised the money to have artificial turf laid, a few shrubs planted in one corner and garden furniture installed. On summer days, this was a very pleasant sun-trap for the girls. 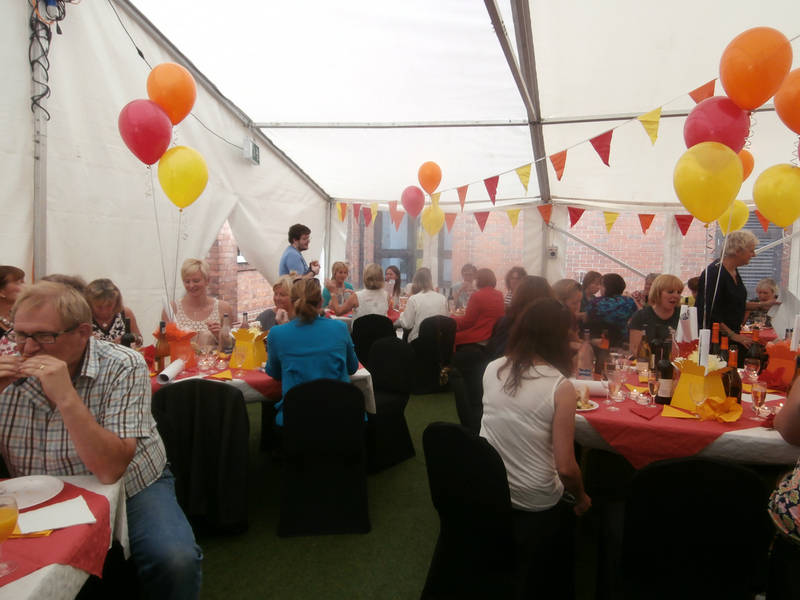 With the addition of a marquee, the last function it served for Church High was as the venue for the staff’s Farewell Meal: a big hog roast. 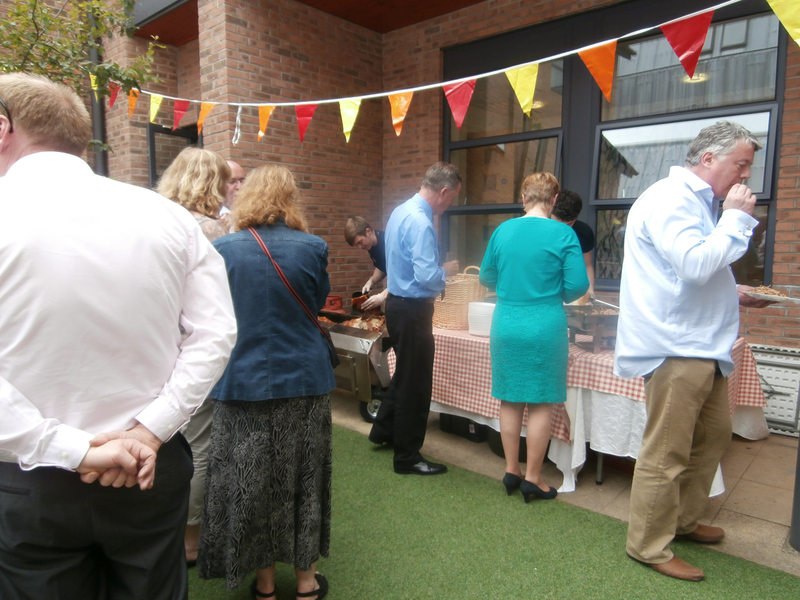 Staff queuing for the hog roast on the courtyard artificial turf. 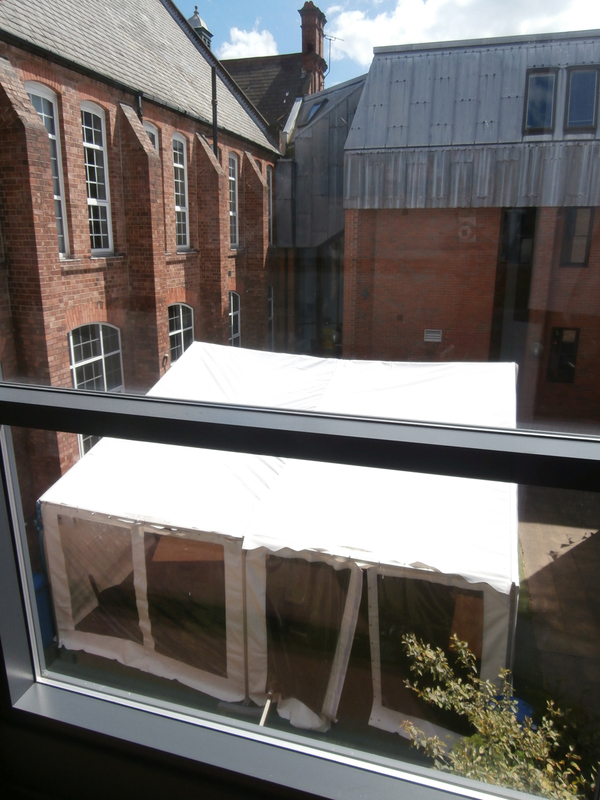 The Church High Heritage celebrations marquee in the back courtyard, July 2014, from the Art block (above) and within (below). 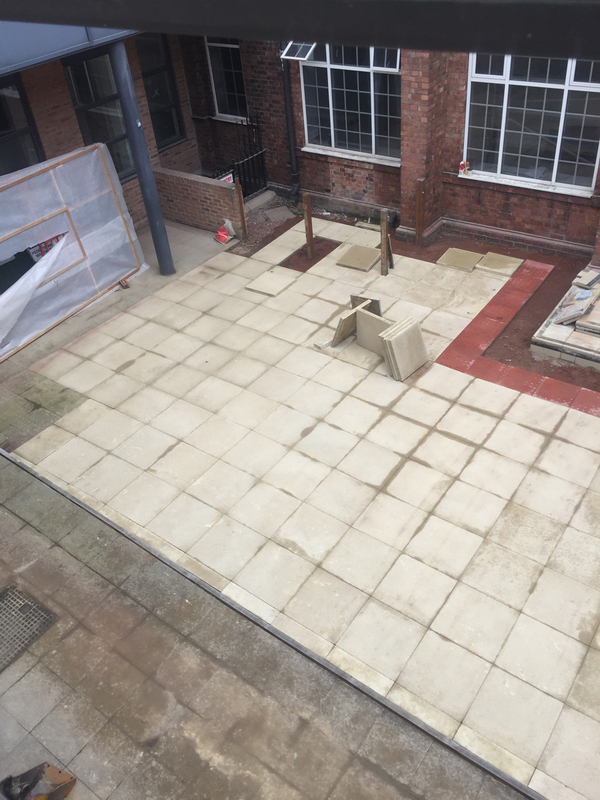 The renovation of the back courtyard, its surface sadly very worse-for-wear after supporting the scaffolding and suffering months of site traffic, was the groundworks underway at this time. With me still banned from the building, we must rely on Giuseppe once again. 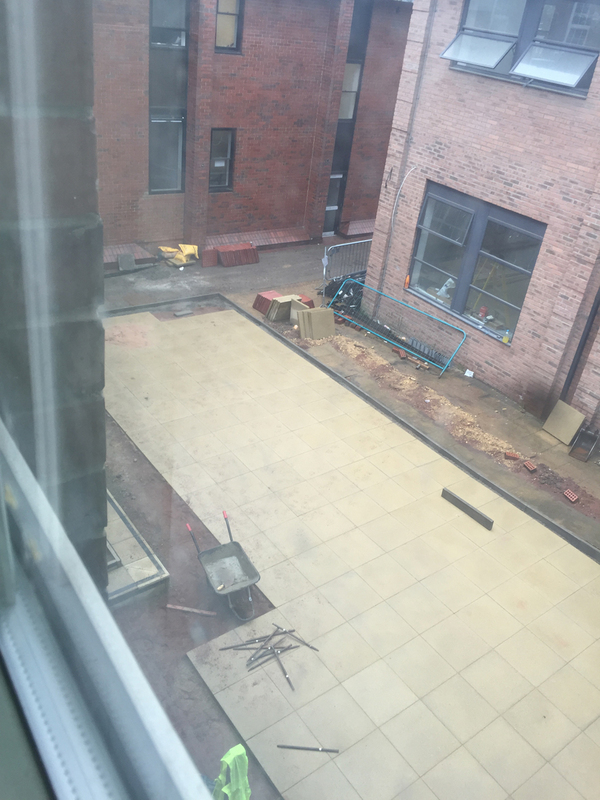 The back courtyard as it was during the building process. 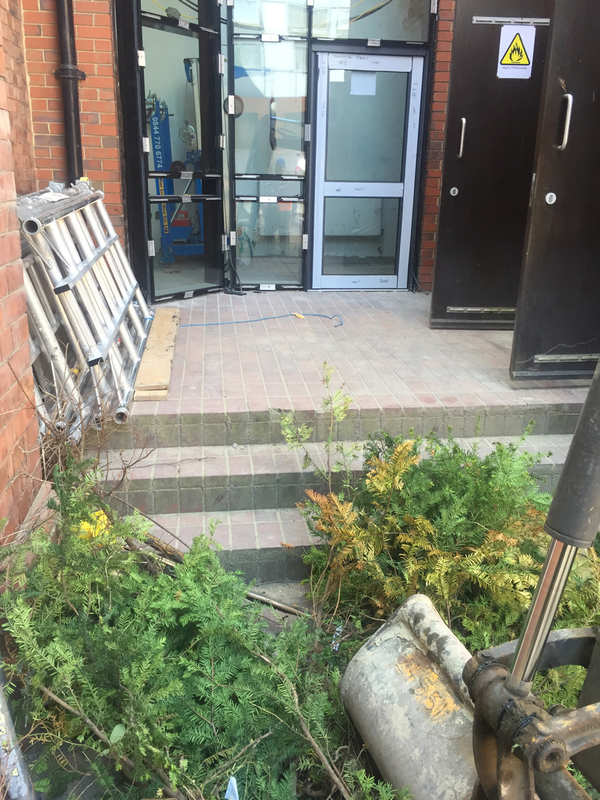 As his photo diary of the works carried out between June 9th – 15th shows, this sadly necessitated the loss of all the recent greenery. Even in 1898, Miss Beale knew the importance of psychology in the educational process. In colour psychology, green stimulates growth. The little green tree didn’t survive the process. 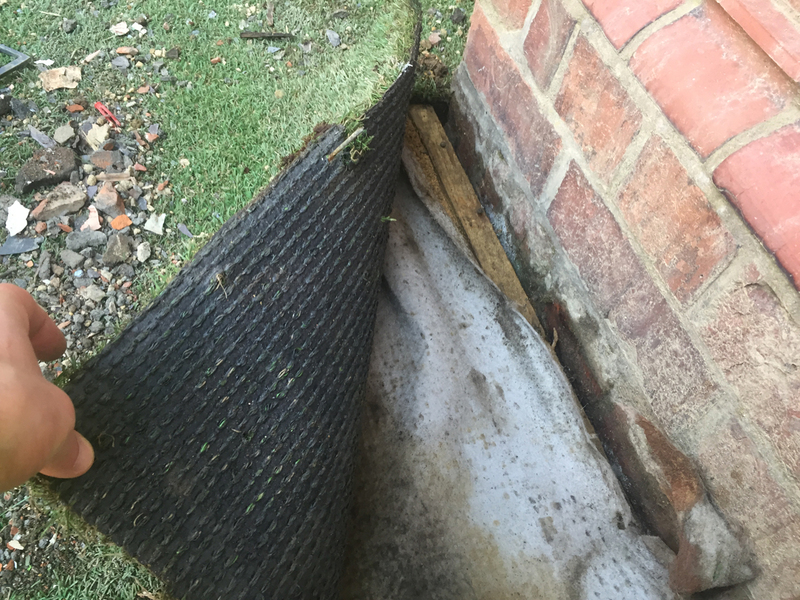 The building materials lying around indicate the area is to be paved. Still, at least it isn’t all just going to be grayscale. The red earth underneath won’t be seen, but the pink stones will add warmth. 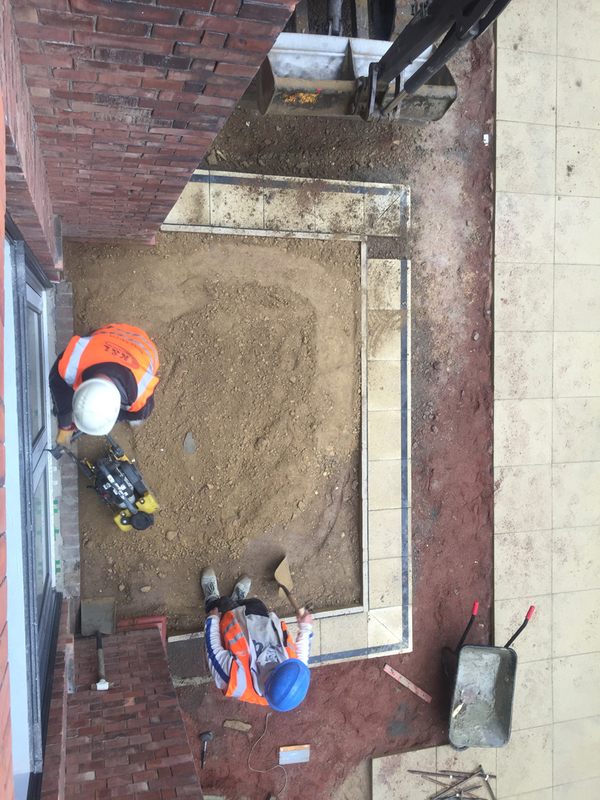 And as Giuseppe can go anywhere on site, I can at least share with you here some fantastic shots from above of the patterns being created. 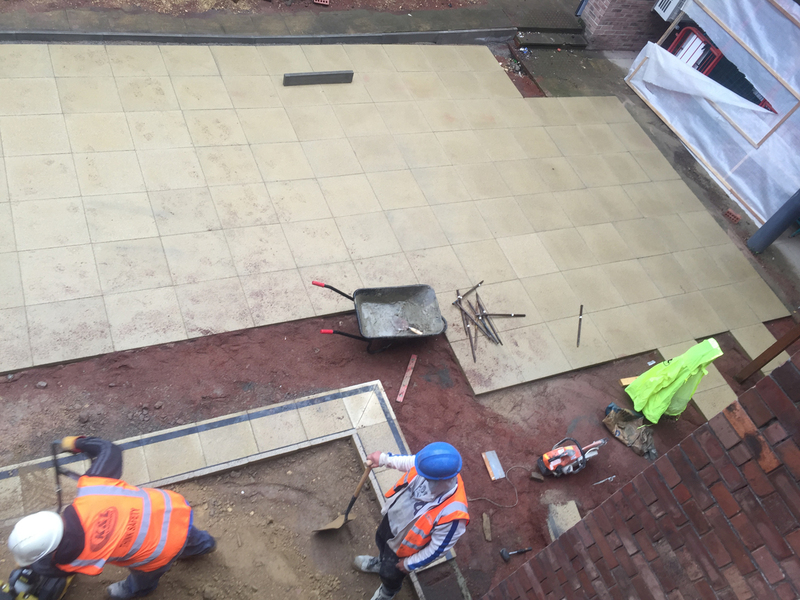 Looking down on the work from the Hall. Opposite view of the work from the Art Block. Every Sunday I receive a mailing from Brainpickings, a marvellous weekly newsletter written by Maria Popova. This week’s contained a review of the book ‘The Invention of Empathy: Rilke, Rodin and the Art of “Inseeing”‘ and referenced the work of philosopher, Theodor Lipps. When people project their emotions, ideas or memories onto objects they enact a process that Robert Vischer called einfühlung, literally ‘feeling into’, which the British psychologist Edward Titchener translated into English as ’empathy’ in 1909. In Lipps’ seminal paper, he identified the four types of empathy as he saw them. Empirical empathy describes the situation when one sees human qualities in the nonhuman. Tell me, is it just me or does it seem to you, in the photo below, the ‘Old Girl’ may be starting to smile once again? Previous PostThoroughly Modern Stairways: Green Glass Clearly (Tough), June 2017Next PostIn Celebration of Books and Strong, Free-Thinking Women …. Interestingly, I remember that when I joined Church High as an eleven year old in 1963, the ‘blackboards’ in the two Upper 111 form rooms were green, which was unusual at that time. I don’t believe that other rooms had this innovation, because we frequently moved from room to room for different subjects. 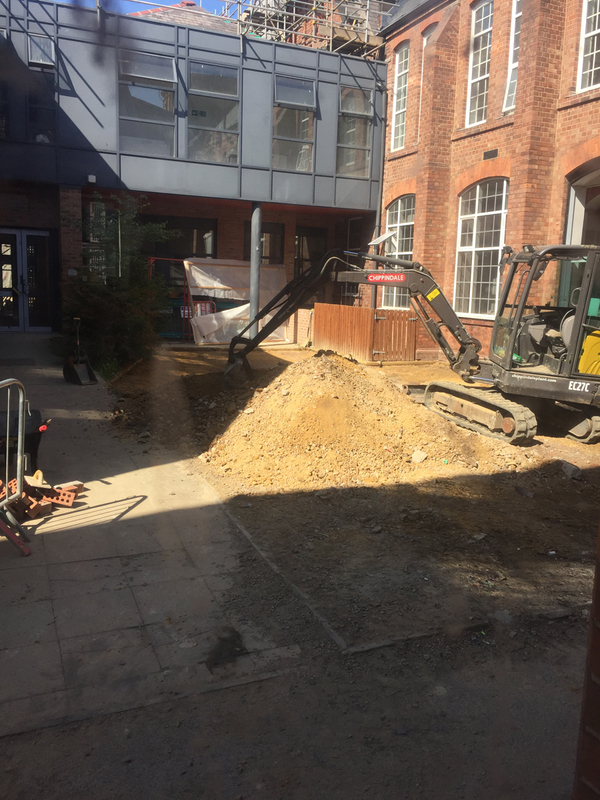 Reading the blog and comparing what I see with the school as I recollect it ( complete with gymnasium on the ground floor), it is difficult at times to reconcile the two.